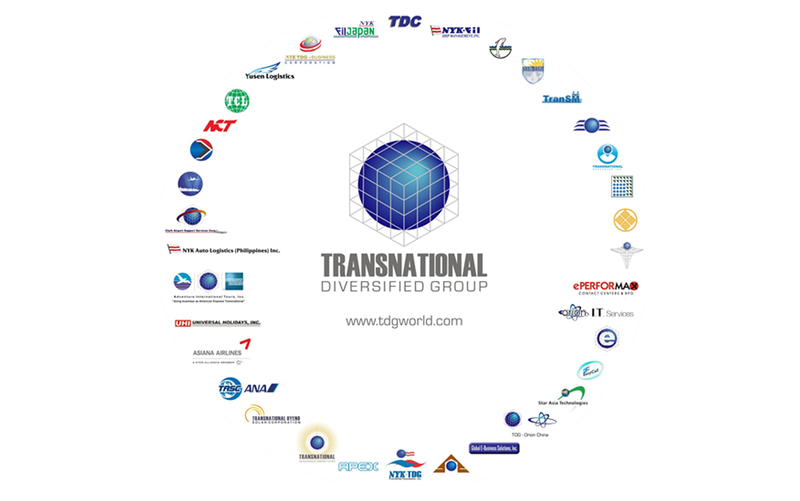 The Transnational Diversified Group of Companies (TDG) is a globally competitive and progressive business group of highly successful companies engaged in leading industries. TOTAL LOGISTICS : International Shipping, Transportation, Warehousing, Vehicle Logistics, Customs Brokerage, 3rd and 4th Party Logistics, Airport Support & Aviation Services. TOTAL SHIP MANAGEMENT : Crew Management, Seafarer Training, Maritime Education, Tanker Operations, Medical Services and Financial Services. TRAVEL & TOURISM : Tours, Travel Agency Services, Airline GSA, Cruise Ships. INFORMATION & COMMUNICATIONS TECHNOLOGY SERVICES : Contact Centers, Business Process Outsourcing Services, Software Development and E-Business Solutions. OTHERS : Securities Trading, Real Estate Development, Renewable Energy, and other supplemental businesses. 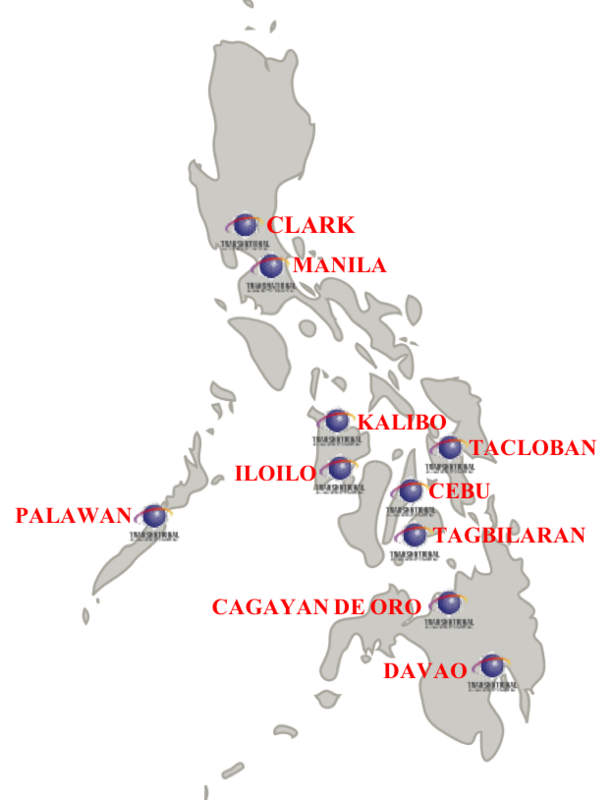 © Copyrights 2018 Clark Airport Support Services, Corp. All Rights Reserved.